September means the end of summer is approaching and kids are heading back to school, moms and dads everywhere will be busy packing lunches and back to playing taxi, heading to football practice or dance class or swim lessons… oh the joys of parenthood! With so much going on, it can be hard to get dinner on the table between the frequent drop-offs and helping with homework. Have no fear, The Produce Navigator is here to help! Nothing is better than getting a tasty and veggie packed dinner on the table in a short period of time. One way to make dinner in a snap is to prep, prep, prep! You can set aside a weekend afternoon to chop, and dice the ingredients for your upcoming week’s meals. Or you can spend an entire day making freezer meal, which are complete meals you pre-cook and freeze, then you simply take one out on a busy night and pop it in the oven. Another convenient idea is, simply prep dinner the night before or the morning of, which is exactly how you can put this month’s recipe together quickly. We will tell you all about the marinating in a bit. But first let’s talk Broccoli. At Gold Coast Packing we are all about making things quick and easy for you. We are known for our Value-added products, meaning our items are washed, cut and ready to use! 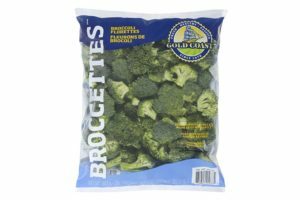 Our Spinach, Cauliflower Florets, Broccoli Florets, Cilantro and all of our Caulifornia™ items are ready to use right out of the bag! Talk about simplified convenience! 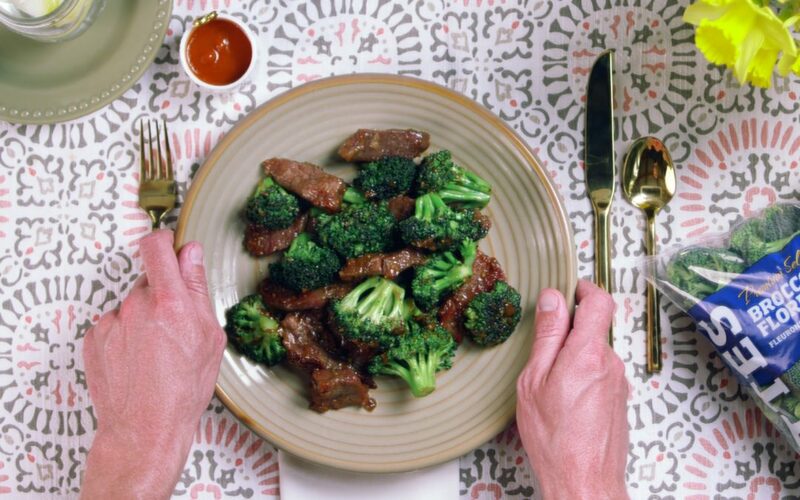 For this month’s recipe, we used our Broccoli Florets, which are available in a variety of pack sizes, including 2lb. and 3lb. retail bags. Making it as easy as opening a bag and tossing in a pan. 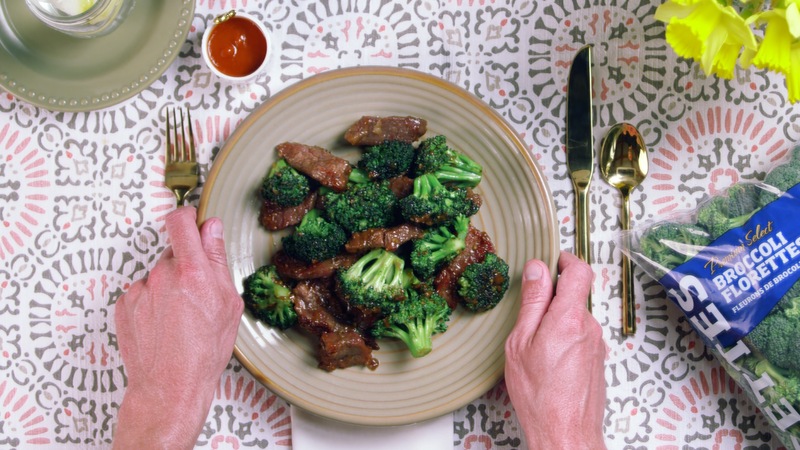 This month’s recipe is a super tasty, better than take-out Beef and Broccoli. 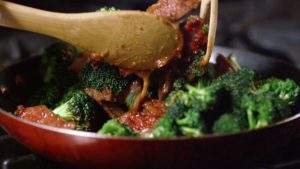 With a little bit of prep the night before or prior to heading out the door in the morning, you will have a delicious dinner, jam packed with broccoli. And even better… this dish will whip up in less than 30 minutes! Yes, it’s that simple!! The only prep, is super easy, you simply cut up your flank steak and make a marinade. The longer your meat marinades the more tender and flavorful it will be, but if you forget to prep, as long as you leave that meat in the marinade for one hour, you will be good to go. The next three steps are as easy as making a sauce, sauteing broccoli and mixing it all together! What? Yes! That simple, and when you taste it you may never want to order take out again. Thanks for navigating with us through some meal prepping ideas. We hope you have learned some tips that will help with those busy nights. The easy to follow recipe tutorial is below, as well as the handy printable recipe.